Day Five of “The Breakfast Club”, with the amazing Madeleine Shaw, Nutrition Coach. Visit her website for more delicious recipes. This recipe is by Me or “Make & Bake from Scratch”. It is a beautiful recipe for breakfast or could be savoured as a dessert. 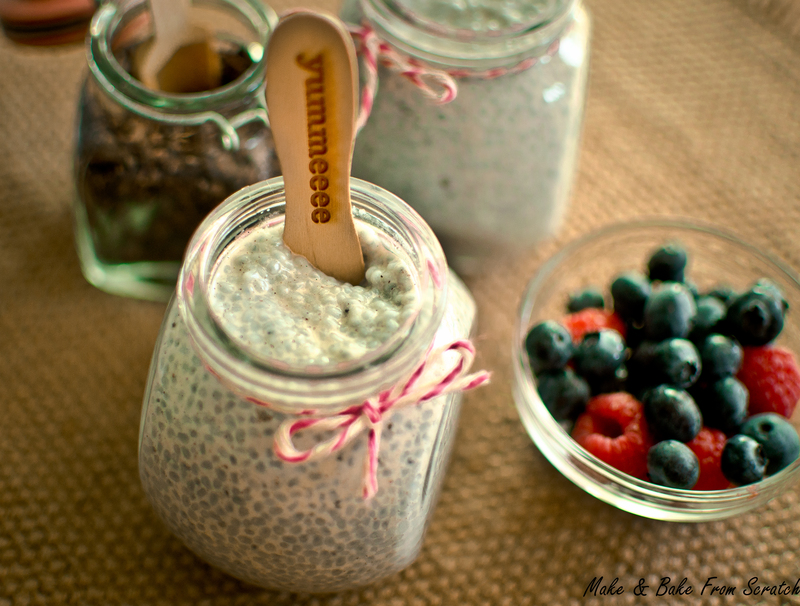 Chia Pots are a great way to put a spring in your step in the morning time. They are packed with protein, fibre and omega 3 fatty acids. 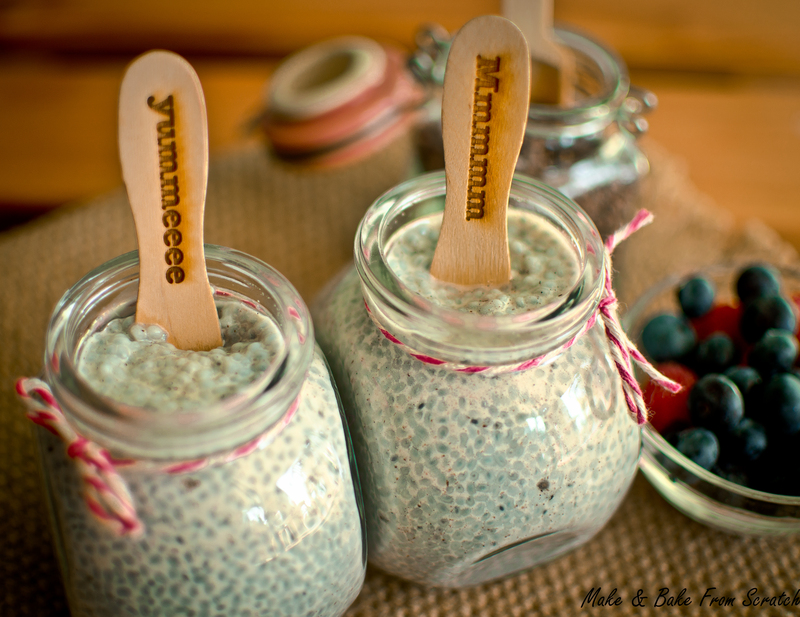 By adding a tablespoon of chia seeds you can increase your protein intake on a daily basis. Chia seeds contain soluble and insoluble fiber which is great for digestion and regularity. Chia pots have a rice pudding consistency. You will need to leave them in fridge overnight or at least 6 hours. You can add your toppings of your choice when they have set. Add all the ingredients to your pots and stir the mixture with a small spoon until combined. Pop in the fridge overnight. Next morning give it a little stir before devouring, sprinkle with your favourite toppings.